With so many fun and creative possibilities, your child's party will be one of a kind! Art Haven's trained and dedicated staff will provide decorations and an art project of your choice. For a two hour time slot, birthday parties cost $175 for up to 12 children. There's a $10 fee for each additional child. Call (978) 283-3888 or email traci@arthaven.org to confirm your date. Scroll to the bottom of the page to reserve a party. Choose one of the crafts below. Projects have been created that are simple enough for a wide range of skill levels and also creative and fun. Some kids won't like to get their hands wet or sticky so we've designed projects that are fun for everyone. There is nothing better than Oooey, goooey slime! Kids will learn to make their own slime with fun colors and mix-ins. 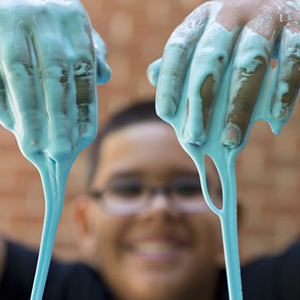 *Our Slime is Borax free to be easy on hands. Pricing: Due to materials costs, please note a different price for this party is $225 for up to 12 children. The same rates apply for additional children. All kids enjoy painting on a canvas. Choose a follow along painting or kids can be free to paint on their own. Good themes for a step by step include space, mermaids, unicorns or Georgia-Okeefe flowers. Option 3 Comic Book Art Party! Make a comic with you favorite characters! Create a mini world out of paper and cardboard. Make two different kinds of puppets, and stage a show! Birthday parties are available for children grades 1-6. Will Art Haven provide the decorations for my party? Parents are responsible for decorations. If you would like to set up before the party you can arrive 30 minutes prior to your time slot to decorate. 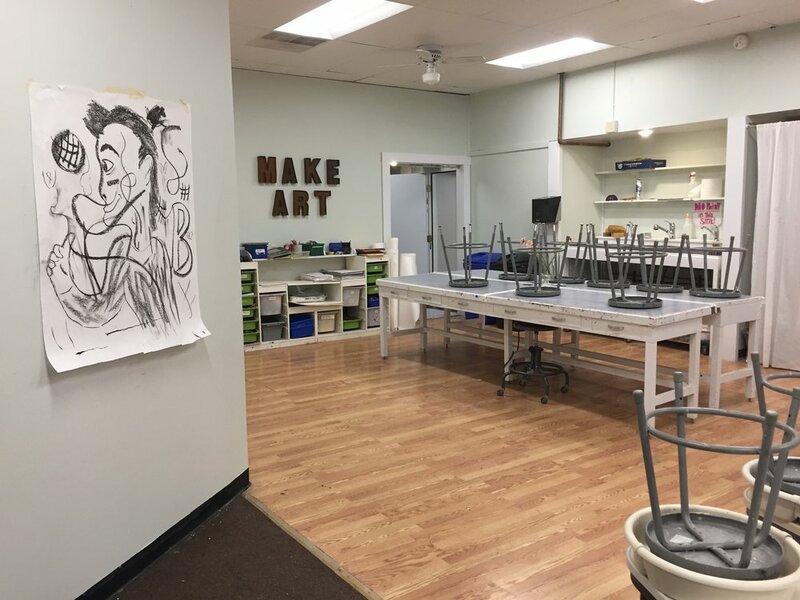 Does Art Haven supply all of the art materials for the art projects? Art Haven does supply the materials for standard birthday party projects. However, if you would like to do a project that involves materials that we do not have readily available then you will have to provide those materials. We allow fifteen minutes for everyone to arrive, during which kids can free draw. Once guests are ready, we begin, welcoming kids and getting to know everyone a bit. We wear name tags and encourage kids to ask questions. The instructor will introduce the craft and provide instruction, then the kids can jump in and have fun creating! We are there to help as needed throughout the party. Crafts last between an hour an hour and a half. Teachers will help organize clean-up and transition to what parents have planned next. Yes! Just let us know that you would like to have time for food and we will plan the art project accordingly. Parents or Caregivers are responsible for bringing paper goods. Please note we are a nut-free facility. Parents provide all paper goods. We have 6-foot long tables that we can set up, separate from the craft area, where kids can eat and food or other items can be set out. When is the best time for cake? That is really up to you. We are happy to accommodate and can do a craft before, after or in between food. Does my deposit guarantee the date and time that I want for my birthday party? We recommend calling us to make sure the date and time you want to have your party is available. After you've confirmed that your day and time is available then your deposit will guarantee your slot. We also ask that you please put in your time slot in the "notes" section of the deposit form. You can pay the balance the day of the party, either online or in person with cash or check. What if one of the children attending has allergies? Please inform us of any allergies so we can work with you to ensure everyone’s safety. How can I find out which dates are open? Select Product Below to Pay Half or Full Amount Up Front. please select from the product listed below titled "Additional Children." We're looking forward to helping you celebrate your very special day! Balance and cost for additional children can be paid the day of the party. Please select the correct balance amount based on the theme you have chosen. You will see the options in the drop down menu. Also, there is a second ”product” below where you can pay for any additional children. Please select the correct number of additional kids attending. Thanks! Your birthday package includes 15 children. Each additional child is $10 per child.